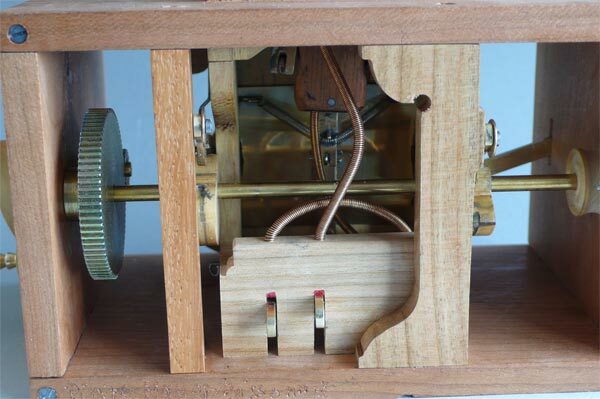 The master of contemporary Magic automata, Pierre Mayer has produced a new design for 2009, The Harlequin. 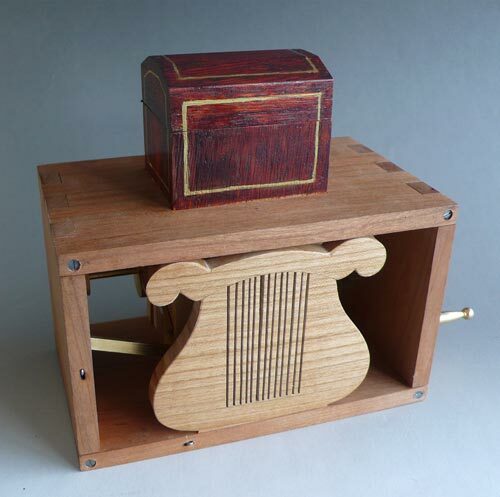 The piece is based on a trick which the magician Robert Houdin made popular in his theatre. 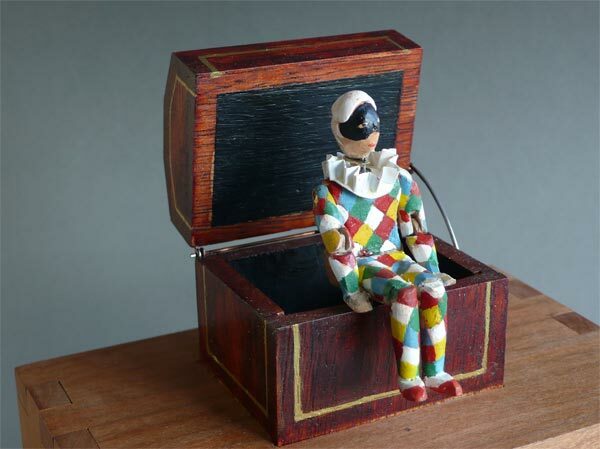 In this version,you see a closed trunk,you turn the handle the Harlequin pops out to sit at the edge, if you continue to turn the handle he disappears inside the trunk that closes. BUT you can pause when he is seated and two levers in the back(that you actlvate your index finger) makes him move his head in a very clear way, sideways for no or downward for yes. This gives the opportunity for the spectators to ask questions to the Harlequin who will be delighted to answer.